My baseball cards are pretty special to me. My first ones were collected in the early 1980s as rewards after our Little League games. Our coach would give us each a dollar to use at the concession stand when we won. I always purchased a small Barq’s cream soda and two packs of baseball cards. The trip home from the ball field was spent shuffling through the cards to locate my favorite Cincinnati Reds players, all the while chomping on the stale gum from the card packs. 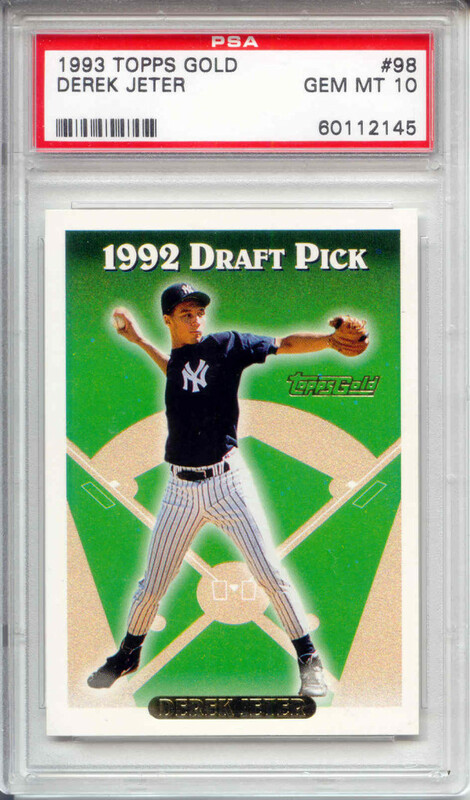 That began a favorite hobby of mine that has continued off and on to this day as I’ve amassed around 12,000 cards. If you came to my house though, you would never know it because for the last 10 years 98% of them have been boxed away in the basement, tucked neatly into baseball card pages and three-ring binders. The other 2% are in the fire safe box, also basically locked away from view. Every so often, I think about selling the cards, thus ridding myself of the torture of always moving the boxes when they are in the way. Something holds me back though. These cards hold sentimental value. They stir memories of my one and only Little League home run, of catch with dad in the backyard, of All-Star traveling teams, and getting drilled in the eye on a bad hop grounder at shortstop. Needless to say I’m really attached to them. The longer we hold on to something the more attached we become to it. I think God knows this and it’s why He instructed the ancient Israelites to “not delay” in their giving. God didn’t need their produce or their juices or their money to help Him make it through the day. He is self-sufficient. He can take care of Himself. But He knew that if the people held onto their goods they might find a better use for them and neglect their responsibility to give altogether. In addition to developing an attitude of thanks for His blessing, God was keeping them from developing an attachment to their wealth. So if you regularly give to your local church or perhaps a charity each time you get paid, give quickly. Give the portion you feel led to give before that paycheck goes to buy stuff or settles in to your investment account. If you get too attached to it, you just might have a hard time giving it away. Are you too attached to your money to give it away? What possession are you most attached to? Next Post: Freedom: It’s Why Budgets Rock! For you: baseball cards. For me: shoes! Great post as always, Brian! LOL! You and my wife would get along. The girls set individual yearly goals with who they share their money with. It makes me incredibly proud that their share goals are often the first goal they achieve and often exceed. We also decide as a family on how we will share our money. Now that girls are a bit older, we’re moving beyond just sharing our money but also giving of our time. I want to instill a sharing/giving mindset in the girls because I think it’s so important. My father’s cabin is something I hold onto, even though we rarely use it but it’s something tangible for me to remember my Dad by. Giving goals are great Shannon! We do something similar with the various missionaries and other charitable organizations we support. I think giving means more when we become intentional with it. In other words, when it’s not an afterthought. I have auto-deduction out of my paycheck and bank account for charitable donations. It makes it easy to not be attached if you never see the money before it goes out the door! But I definitely am attached to some possessions but hope that if push came to shove I’d be willing to sell to convert it into cash and utilize it in a more useful way. Auto-deductions are great DC! We have our charitable donations set up on a monthly schedule through our bank account as well. This is interesting….I’ve heard messages on giving, but I don’t think I’ve ever heard this exact point. Holding your wealth with an open hand is difficult, but I think that is the way that God intended. Agreed. We need to be willing to manage it well so that we can give some away to others. I like this post. I do think that I am naturally a giver though. Especially if it is anything to do with kids. If all I have is five dollars left out of my paycheck and see a money collection for a terminally ill child I gladly give it up. You bring up an interesting point Alexa. I think that some individuals are more naturally prone to give based on their personality. It seems to come more easily for some than for others. I’m pulled by the needs of children as well.